The new AAC T10 rifle from Action Army is a new VSR10 based platform, complete with 90 degree trigger and piston out the box. 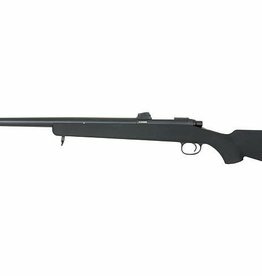 The AAC T10 features a solidly built stock and beautiful aesthetics. 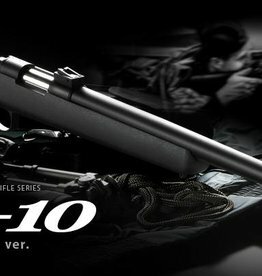 The Tokyo Marui VSR10 is the original Airsoft Sniper Rifle, boasting a simplistic and effective design, with many VSR10 aftermarket parts. The VSR10 is one of the best upgrade platforms around and can be heavily upgraded. The JG Works Bar10 is one of the most well known of the VSR10 based clones, 100% TM compatible and has plenty of upgrade options.